Getting lost is frustrating. When you don’t know which way to go or what happens next, you get anxious and angry. That’s how your clients feel if your onboarding process is rough or confusing. And when they feel frustrated and anxious before the project even begins, you’ll be fighting an uphill battle to make them happy. Each business is unique, but every business needs an onboarding process. While the steps may vary from business to business, it’s important to take the time to map out your onboarding process so that you are able to weed out problem clients before they become problems, and set expectations for the project. This lets potential clients know that you’re the right fit for them, and helps them know what to expect. For most web designers and developers, the following steps in this order will work well. But don’t be afraid to mix things up if you prefer to work differently. I know designers who do a 15-minute intro call right away and that works well for them. I know others who avoid calls altogether and make it work (though I don’t recommend this). But if you don’t have a client onboarding process in place, start here and tweak as needed. Some of the links in this article are affiliate links. By clicking them and making a purchase, I will receive a small commission. I only share products and services that I love and genuinely recommend. The affiliate links are just a nice bonus. I appreciate you purchasing through my affiliate links! Your website is part of your client screening and onboarding process. As soon as a potential client lands on your website she should immediately know what you do. If you’re a web designer for nutritionists, that should be obvious as soon as the page loads. Don’t make potential clients click around to find out what you do and who you work with. You want them to know immediately, so that if they are not the right fit, they go somewhere else, and if they are the right fit, they get excited about working with you. Your portfolio should reinforce who you work with and what types of projects you work on. This is another self-qualifying step for your potential clients. If the work you do doesn’t excite them, they can go somewhere else, but if it impresses them, they get more and more interested in working with you. Think of your website as a carefully curated collection designed to attract a very specific client, and dissuade anyone else. You can’t appeal to everyone, choose your focus, and stick with it. Niching down will help you attract clients you want to work with, and be a turn-off to those who are not a good fit. When a potential client makes it here, it’s likely that she’s seriously considering working with you. But mistake that a lot of designers make is asking TOO much on the initial inquiry form which results in very few people filling it out. You don’t want to scare potential clients off with a contact form that takes an hour to fill out. But you do want to collect enough information that you are able to judge whether the project is potentially a good fit. This form should take no more than 3-5 minutes for a potential client to fill out, so narrow down your contact form questions to what you really need to know. Put your most important qualifying questions on your contact form. For many of us, this would include: the type of service the client wants, a rough budget for the project, 1-2 examples of what the client is looking for, and a short description of what the client wants. Failure to fill out this form correctly could signal a problem with communication throughout the project, so pay attention to how well the client describes what she is looking for. But your client onboarding has only just really begun. Use an intro packet to let clients know what working with you would be like. An intro packet helps set client expectations and keeps them from getting that “lost” feeling which understandably makes them anxious. If a client agrees to what is outlined in your intro packet, they are likely a good fit for working with you, and will be pleased with how organized you are, and how you’ve explained everything. They know what will happen during the project, and they feel at ease, instead of anxious. Skyping (or any type of call, preferably where you can actually see your potential client) is an important part of the client onboarding process. While you may choose to communicate primarily via email or a project management system, a video call lets you really get a feel for the other person in a way that written communication just can’t. If you don’t click on the video call, something may be wrong. When a client doesn’t seem as excited or interested as you do, that’s a red flag. While it’s not necessary for you to be besties, you do need to get along. You may be working with this person for the next several months, so if you don’t click at this point, problems may surface. Use your discovery call to clarify what you’ll be doing, and to reiterate your process and answer any questions your potential client has about working with you. Also go over the client’s project again, to ensure that you’re both on the same page about what she’s asking for. You can share screens if something is unclear, and make sure that you’re both on the same page with what the client is looking for. You and the potential client should both leave the discovery call feeling good about working together, and that all your questions were answered. It’s time to send a proposal! At this point you should have a pretty firm grasp on what your potential client is looking for, so it’s time to send an official quote or proposal. Remember, the proposal is an estimate. If the client changes her mind or adds something, you can adjust the price accordingly. But the proposal lets the client know what you’ll be doing specifically for her project, and roughly how long her project will take, and what it will cost her. This again helps with the antsy feeling that clients understandably get when they don’t know what’s going on. A proposal also gives you a document to fall back to if the client drastically changes her mind about what she wants, giving you the option of re-quoting, or backing out of the project if it’s no longer something you are able/want to take on. Time to make this legal! A contract protects both you and the client, so don’t work without one. I’m not a lawyer, so I’m not going to give you legal advice, but I do recommend checking out Your Legal BFF, Contract Killer and Small Business Bodyguard for help creating your own contracts. The project is not officially a project, and the client is not officially a client until a contract is signed. So do not skip this step of the client onboarding process! Get help with your contracts here! You shouldn’t start work until you’ve gotten an initial payment. How you choose to split this up is up to you, or may depend on the size of the project. Many designers do a 50/50 split with 50% due at contract signing, and 50% due at project completion, but you could also charge the remaining 50% after a certain time period, like 30 days. For projects over $10,000 I typically split the payment into four payments of 25% each. I require 25% to hold the spot in my calendar, 25% after the first mockup, 25% after the first round of development, and 25% before the website launches. But again, the payment structure is up to you. The important part is to get payment to secure the project and ensure you get paid! Wait, didn’t we already send this? And intro packet and a welcome packet are two different things. The intro packet helped potential clients know what to expect, and helped you weed out people who didn’t agree with how you work or your policies. A welcome packet is for clients who are already clients, and it goes into the details of what they need to do. Again, we don’t want our clients feeling lost during the project. Your welcome packet should include the nitty-gritty details that your client needs to know throughout the project. Giving your clients a welcome packet lets them feel in control, informs them about the proper way to send you things or provide feedback, and alleviates their concern when they don’t hear from you over the weekend. You should use a project management system (PMS) with your clients. It will make your life approximately 10,437,843,835 times easier. Seriously though, it will help you keep all your projects organized, remind clients when they have tasks due (like giving feedback or supplying content), and keep you both from digging through your inboxes for hours trying to find that missing file or discussion. If you’re not using one already, you need to! A few popular project management systems to check out are Basecamp, Freedcamp (my favorite), and Asana. This is the part where your client sits down and goes DEEP into what they want. It may take several hours for them to complete this, which is why we leave the homework until after they’re a client, instead of making them do it in the beginning and then turning them down because something else made them a bad fit. What is the primary feeling you want visitors to have when they are on your website? Who do you consider your biggest competition, and why? Who do you wish was your competition–who is at the level you want to be at? The point of the in-depth questionnaire or client homework is so that you can strategically design the best website possible for your client, and know exactly where she wants to be positioned in her market. Your job as a designer is to help your client achieve her goals. You can create the in-depth questionnaire in a number of ways, depending on what works best for you and your clients. Online questionnaires can be created with Gravity Forms, Typeform, or a number of other similar options. If the homework is very long, it may work better as a fill-able PDF that your client can easily save and come back to, so that she doesn’t feel as if she has to fill everything in all at once. And that’s it! It’s time to dive in and get the project started! Whew, that seemed like a lot! And it is, but properly screening and onboarding your clients is an important part of your business. And most of this can be done once, and then automated or simply tweaked for each new client. You only have to make the intake form, intro packet, welcome packet, and client homework once. Then each client receives the same documents and questions, which cuts down on your active participation in asking questions or answering them. You’ll end up saving a ton of time. And proposals and contracts simply need to be adjusted for each project. Once you have the base, you just need to tweak to make them work for individual clients. The only thing you can’t really automate is the Skype call, but that call is what gives you a real feel for the client and project. Don’t skip it. 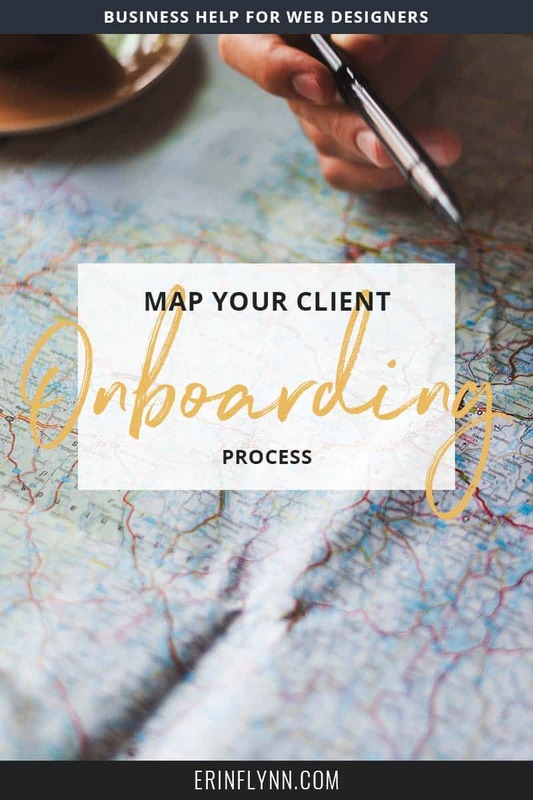 The point of creating a streamlined client onboarding process is to help clients determine if you are the right fit for them, as much as help you decide if they are the right fit for you. Clients self-screen through viewing your website, and reviewing your intro packet. Then you screen them through the Skype call. Potential clients who are not a good fit are weeded out, and potential clients who are a good fit know what to expect, and get excited about working with you. You end up with great clients, and your clients end up with a designer who is excited to work with them.